Mr. Arnold Jerome Larson, age 88, passed away Wednesday, April 11, 2018. He was born in Muskegon, Michigan on February 5, 1930 to Albin & Isabell (Firth) Larson and served his country in the US Army. He married the former Mable Jean Bullion on October 23, 1954. Mr. Larson had been employed as a Engineer for Dresser Industries for 32 years. 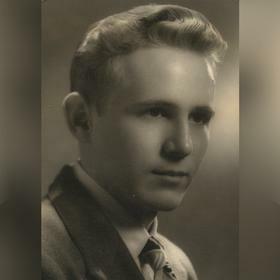 Arnold was a member of Central United Methodist Church and volunteered at Hackley Hospital and the American Red Cross. 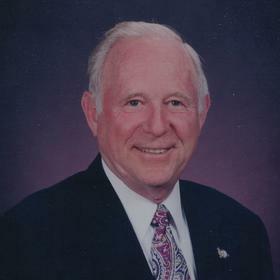 He was a past chief of the Vikings, a member of the Muskegon Lions Club & the Elks Lodge. Monday, April 16, 2018, 11:00 am with visitation one hour prior at Central United Methodist Church with Rev. Mark D. Miller officiating. Interment in Restlawn Cemetery. MEMORIAL: Central United Methodist Church or the Muskegon Lions Club.